When the Badkonijn is floating in the water, you know summer season starts :)! 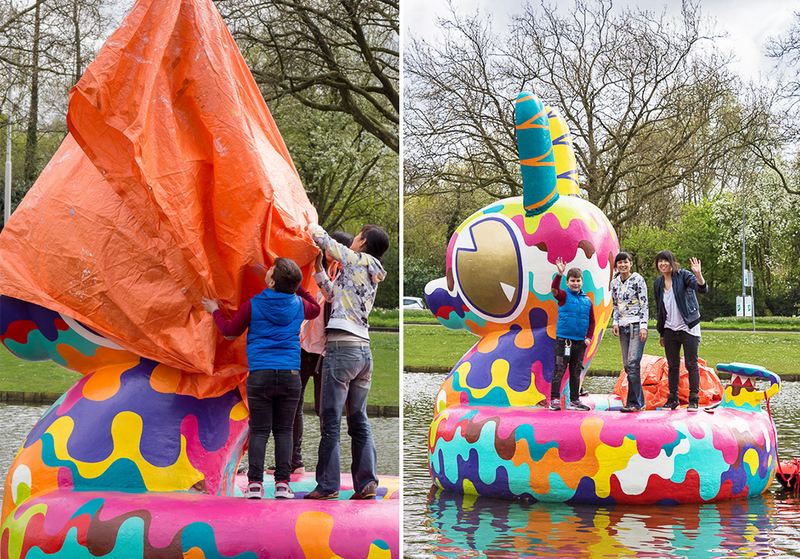 This year’s edition of the Bath Bunny we worked together with the children visitors of the community house Huis van de Wijk: ‘De Nieuwe Banier’. The winner of this year is the 9-year-old Ilyas with his very bright summer design. Together with his friends he also helped us with painting the Badkonijn at the soccer club Steeds Hooger. Of course he was also our special guest during the opening on April the 5th and helped us with showing the new bunny outfit to the audience. 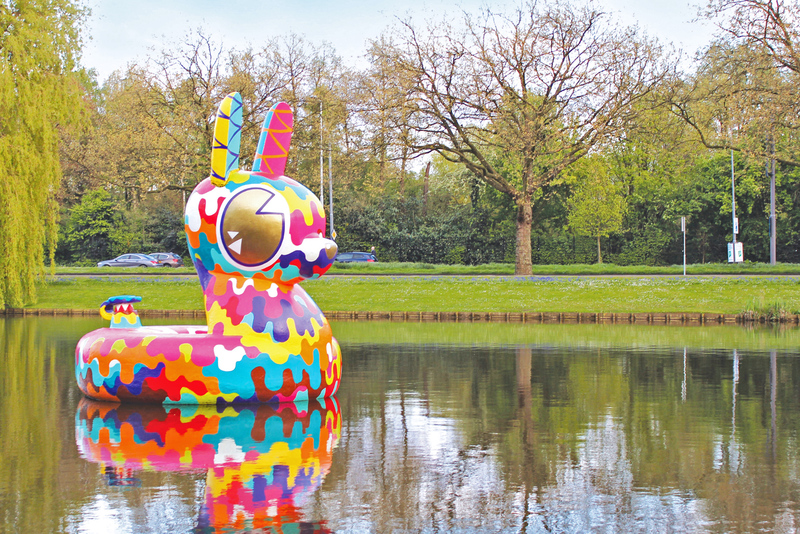 Badkonijn can be visited at the public Vroesenpark till the end of October 2017.